Emergency Online Training was built specifically to be convenient for you and your schedule and to help you get your CPR or First Aid certification quickly and easily. The Internet is how we learn best in today’s fast paced and always connected society because you can study and test whenever and wherever you please. You can take a course in about an hour and have your printed certification or wallet card in under 2 hours. Come back anytime within 2 years for a course refresher and online reinforcement of your new-found lifesaving skills. Fast And Convenient CPR And First Aid Certifications! We built our training with you in mind. No medical background or experience is necessary. It’s for anyone that wants to get certified. You can view our quality training videos in about an hour and be taking your certification test within an hour and a half from now. Access our training anywhere there is an Internet connection, which makes it easy to learn and test wherever and whenever you wish! We stand behind Emergency Online Training 100% and your satisfaction is guaranteed. 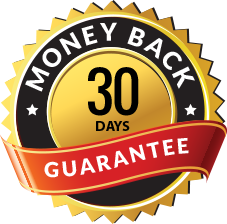 If you cancel within 30 days and you are not completely satisfied, we’ll give you all your money back. No questions asked.